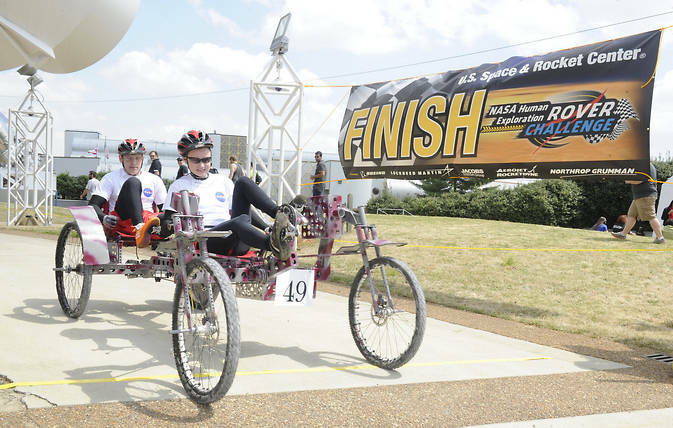 Nearly 100 high school and college teams from around the world will race against each other during NASA’s Human Exploration Rover Challenge April 17-18 at the U.S. Space & Rocket Center in Huntsville, Alabama. Participating teams are from 15 states and Puerto Rico, as well as international teams from Mexico, Germany, India and Russia. Hosted by NASA’s Marshall Space Flight Center in Huntsville, the rover challenge requires participating students to design, construct and race human-powered rovers through an obstacle course simulating the terrain potentially found on distant planets, asteroids or moons. Teams race to finish the course with the fastest times, vying for prizes in competitive divisions. The event concludes with an awards ceremony where corporate sponsors will present awards for best design, rookie team and other accomplishments. The nearly three-quarter mile obstacle course will have teams racing and maneuvering in, through and around full-size exhibits of rockets, space vehicles and extra-terrestrial terrain currently on display at the U.S. Space & Rocket Center – the official visitor center for Marshall. 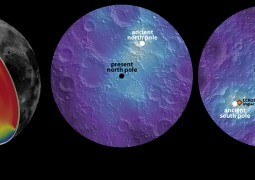 The course will continue to feature the lunar-themed obstacles, but with a twist – the addition of Martian-themed obstacles highlighting NASA’s journey to Mars and other deep space exploration destinations. The course includes 17 unique obstacles built from wood, aluminum, rubber tires and tons of gravel and sand. The materials are carefully shaped to resemble craters, basins, boulders, ancient lava flows, crevasses and other obstacles. The course features simulated fields of asteroid debris – boulders from 5 to 15 inches across, an ancient stream bed filled with pebbles about six inches deep and erosion ruts and crevasses in varying widths and depths. Teams will arrive in Huntsville on April 16 for on-site registration, with the race taking place 7:30 a.m. to 5 p.m. CDT April 17-18. 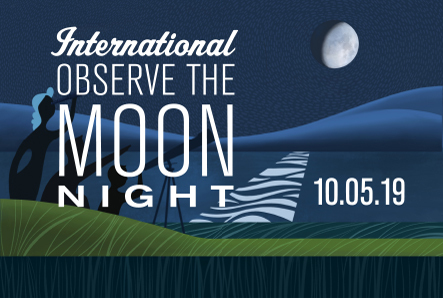 Nonstop media coverage will be provided on Marshall’s UStream webpage, Twitter account and NASA Television. The awards ceremony will take place April 18 at 5 p.m. in the Davidson Center for Space Exploration in Huntsville. The ceremony also will be broadcast on UStream. Marshall’s Academic Affairs Office manages the rover challenge, which is inspired by the lunar rovers of the Apollo moon missions built by Marshall engineers and scientists. The event is designed to teach students to solve engineering problems, while demonstrating NASA’s commitment to mentoring new generations of scientists, engineers and explorers. Major corporate sponsors include Boeing; Lockheed Martin Corporation; Aerojet Rocketdyne; Jacobs Engineering ESSSA Group; and Northrop Grumman Corporation, all with operations in Huntsville. Other corporate and institutional contributors include Science Applications International Corporation of Huntsville; Orbital ATK of Dulles, Virginia; Davidson Technologies of Huntsville; Corporate Office Properties Trust, headquartered in Columbia, Maryland; The U.S. Army Aviation and Missile Research Development and Engineering Center, located in Huntsville; Teledyne-Brown, of Huntsville; MSB Analytics, of Huntsville; The University of Alabama – Huntsville; AI Signal Research Incorporated, of Huntsville; The American Institute of Aeronautics and Astronautics, headquartered in Reston, Virginia; The National Space Club – Huntsville; Booz Allen Hamilton, of Huntsville; Infotech Enterprises of East Hartford, Connecticut; Redstone Federal Credit Union of Huntsville; National Defense Industrial Association, headquartered in Arlington, Virginia; and United Research Services, of San Francisco.